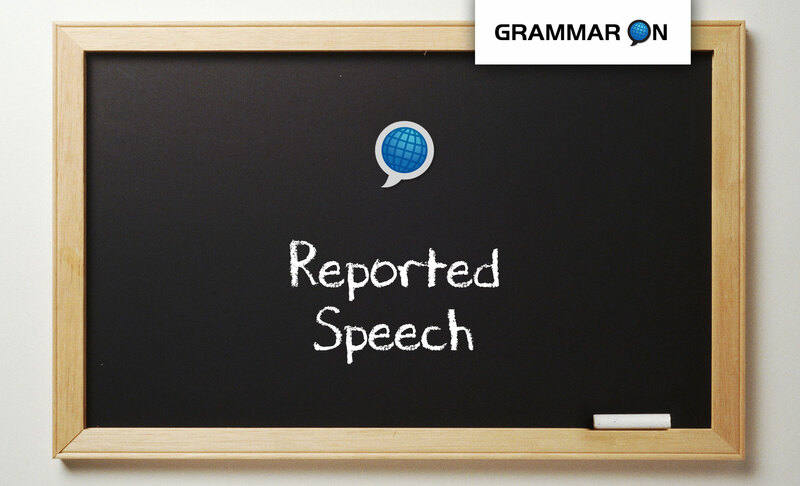 Learn how to use reported speech in English. Reported speech is also known as indirect speech and is used to tell somebody else what another person said. Using reported speech in English can sometimes be difficult for non-native speakers as we (usually) change the verbs, pronouns and specific times. Keep reading to understand how to use reported speech and download this free English lesson! When we want to tell somebody else what another person said, we can use either direct speech or reported speech. Scott said that he was coming to work. He said that he would be late because there was a lot of traffic at that time. Since reported speech is usually talking about the past, we usually change the verbs into the past. It is always necessary to change the verbs when the action has finished or is untrue. How old are you? “I am twenty-seven years old.” She said she is twenty-seven years old. We usually follow the rules below. When we are reporting speech, we are usually talking about the past; therefore, we change the verbs into the past. Simple Past: He said (that) he ate pizza. Past Continuous: He said (that) he was eating pizza. Would + Verb: He said (that) he would eat pizza. Past Continuous: He said (that) he was going to eat pizza. When we are reporting past actions, it is not always necessary to change the verb tense. We can usually leave the verbs in the same tense and just change the pronouns. However, we sometimes need to use the past perfect to clarify the time order of events. Note: the past perfect never changes in reported speech. Past Perfect: He said (that) he had been eating pizza when she called. Where is + Tom’s house? He asked where Tom’s house + was. Where does Tom live? He asked where Tom lived. Does Tom live in Miami? She asked if Tom lived in Miami. Is Tom happy? She asked if Tom was happy. June said (that) she loved English. June told me (that) she loved English. Must, might, could, would, should, and ought to stay the same in reported speech. We usually change may to might. “I am going to the store to buy milk.” He said he was going to the store to buy milk. We also use infinitives when reporting orders and commands, especially when using tell. “Do your homework. Don’t use a dictionary! !” He told me to do to my homework and not to use a dictionary. When we are reporting another speakers suggestions, we can use a special form with suggest, recommend, or propose. “I think you should visit Viscaya.” → He suggested we visit Viscaya. He suggested visiting Viscaya. “Try to get there early to get good seats.” → He recommended we get there early to get good seats. *That is often omitted in speech. **The verb is always in the base form. We do not use third person. A reported statement begins with an introductory clause and is followed by the ‘information’ clause. The speaker may choose different words, but the meaning remains unchanged. Some formal words to introduce a reported statement or response are: declared, stated, informed, responded, replied, etc. “I don’t agree with these new rules. I am not going to accept this change!” → He declared that he was in disagreement with the new rules and stated that he would not accept the changes. A. 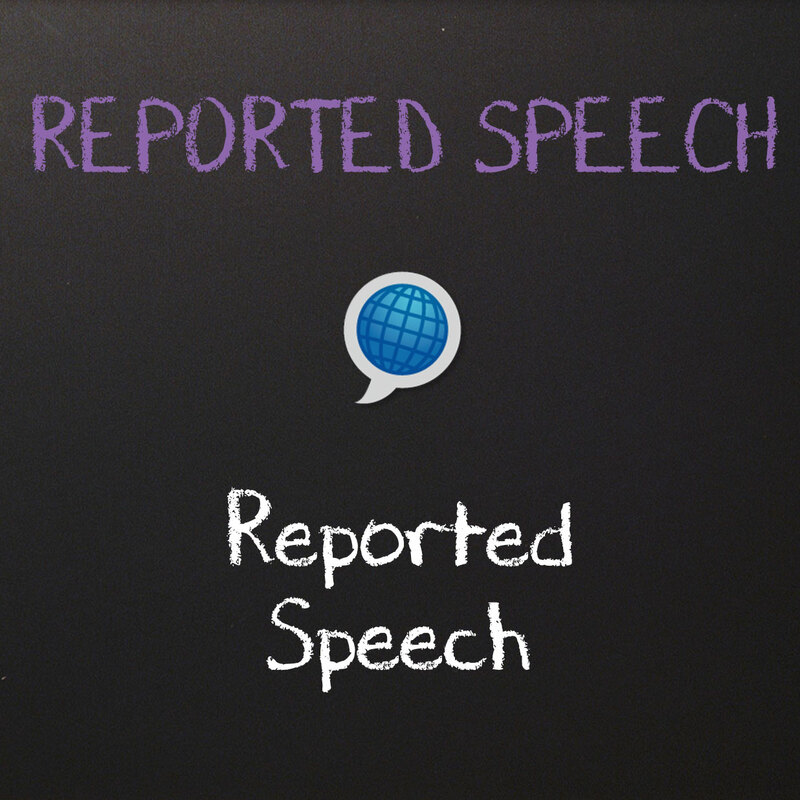 Change each direct speech example into the reported speech. The first one has been done for you. Michelle said that she loved her Chihuahua, Daisy. B. Rewrite the sentences/questions below using reported / indirect speech. Always change the tense, even though it is not always necessary. You can use ‘said’, ‘told me’, or ‘asked’. C. Your friend Megan is very nosy (she always wants to know what’s going on) so she constantly asks questions about your life and the lives of your friends. Rewrite her questions using the reported questions form. The first one has been done for you. 1. Why do you date Ryan? She asked me why I dated Ryan. 2. How much money do you make at your new job? 3. Does Ryan think I’m pretty? 4. Where is your favorite restaurant? 5. Do I look good in these jeans? 6. Can I borrow some twenty bucks? D. Your American grandfather is telling you about how things used to be. Using the reported speech, tell your friends what he said. Did you download this lesson? If not, don’t forget to download this free English lesson. If you have any questions about English grammar, please contact us via email us or just comment below. I hope this lesson helped you understand how to use reported speech in English.